Without much fanfare the UK MoD has taken delivery of the first two production standard Ajax Ares variants, Shephard has learnt. The two vehicles were delivered to the Acceptance and Testing Team for Government Acceptance Tests (GAT) in December 2018. Two further Ares variants are to be delivered by the end of January 2019 and two more in February 2019. General Dynamics UK (GDUK) also confirmed the vehicle deliveries saying that these would accompany seven prototypes already delivered and undergoing testing. 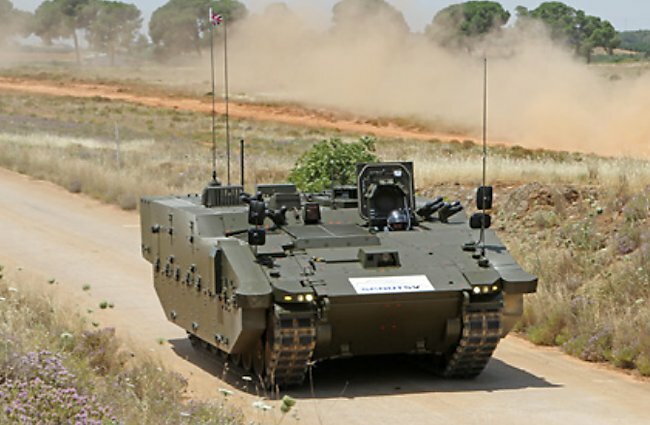 A total of 589 Ajax platforms are set to be delivered to the British Army through 2017-2024, along with the provision of in-service support and training, according to GDUK. It is also understood that the first squadron will be equipped by mid-2019 to allow conversion to begin with a brigade ready to deploy from the end of 2020. The recent deliveries appear to put the programme on track to meet this schedule. I know many of you are fans of the Boxer but it would make so much MORE sense in my opinion to simply standardize on the Ajax family of vehicles. Considering the weight of the Boxer vs Ajax, I just don't see how you can credibly differentiate between a medium and heavy mech unit. Additionally the Warrior Upgrade makes little sense either. Neck down to the Ajax and you help local industry, ease training/maintenance and make your Army more lethal.